It is easy to recognize the need for a piece of label application equipment to keep up with production demands; however, it’s the understanding of all the nuances that make the equipment capable of performance and reliability that comes with industry experience. Knowing the product / container surface, shape, and size and how that all affects the choice of label material, adhesive, and coating, requires technical skill and training. Evaluating the rate of label application that your production line requires, and the number of labels and their locations on the product are critical components. The operating features and sensors you need to ensure quality placement and the space available on your production line for application equipment all need to be considered carefully when assessing the correct applicator to fit the application. Being an OEM of label application equipment, including over 50 years of label and packaging manufacturing history, gives us the edge when designing and developing solutions that incorporate the unique production nuances of each and every label application project we tackle. Whether you’re in need of a leased label applicator for a short run or market launch or a fully customized state-of-the-art industrial applicator for high-speed, high-volume production, our equipment experts will provide you with options to successfully manage your operations. 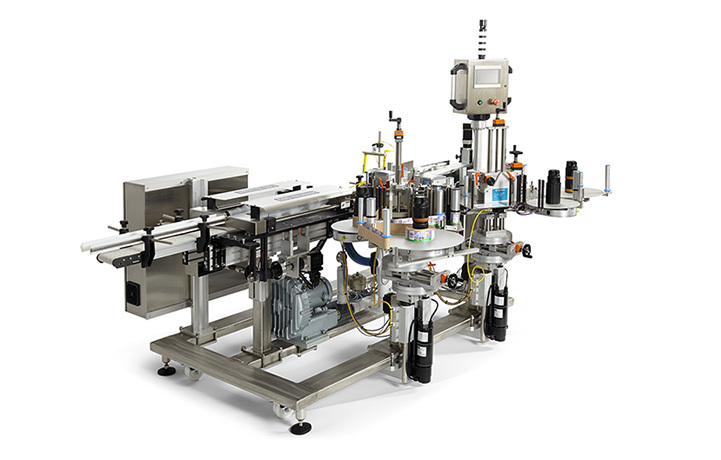 At WS Packaging Group – Automated Systems, we take every opportunity to ensure your label application equipment is designed and built to accommodate your specific production line needs. I have been selling and servicing label application equipment for over 30 years and would love to help you create an applicator solution with the features and capabilities that work in your environment. Please visit us at https://www.wspackaging.com/products/application-equipment or call me directly at (513) 305-7021.